This is a list of general job titles with brief descriptions. These job titles are to be used strictly as a "guide" to complete the section of your application requiring a position title. They are not necessarily vacant positions, but what you would be qualified for now or in the future for possible job opportunities. Performs responsible general office administrative and office management duties for a member of the Texas Senate. Assists the member in a variety of administrative matters requiring a thorough understanding of the policies and programs unique to the legislative process. May supervise and train secretarial and/or clerical employees. May respond to constituent inquiries. Work is performed under general direction with latitude for exercise of independent judgement. Work requires frequent contact with people of prominence and public importance. Should have progressively responsible experience in the legislative process or administrative/office manager work. Performs responsible administrative secretarial and general office work for a member or members of the Texas Senate. Assists Administrative Assistant by performing delegated administrative duties. In the absence of the supervisor, acts with some authority on office management functions. Makes limited interpretations and decisions requiring a knowledge of the supervisor's viewpoint. May supervise personnel performing special office tasks. May respond to constituent inquiries. Work requires frequent contact with people of prominence and public importance. Should have considerable experience in secretarial and clerical work, including experience in computer operation and word processing. Performs administrative support for Senate departments or members. Work requires some familiarity with the legislative process. Work is performed under general supervision. Should have some experience in clerical work, including experience in word processing. Aids the Sergeant-at-Arms in a variety of tasks, including the enforcement of Senate Rules, monitoring committees, and assisting Senate offices. Work is performed under supervision of the Sergeant-at-Arms. Some experience in clerical work helpful, but not required. Performs advanced and complex professional legal work in the Texas Senate. Work involves giving legal advice, preparing opinions, bill analyses and briefs, and drafting bills and amendments for legislative consideration. Works under direction of the Senator or Chief of Staff with latitude for exercise of independent judgment. May respond to constituent inquiries. Should have some legal experience in relevant subject matter either in private industry or with a governmental agency. Performs professional bill analysis work involving examination, review, and analysis of bills before the Senate. Works under direction with considerable latitude for decision making. Should have experience in Texas government and the legislative process. Performs routine bindery work in Senate Publications/Printing. Work involves operating bindery equipment. Bindery equipment cuts, staples, stitches, folds, punches, drills, collates, and pads paper to produce items such as pads, pamphlets, books, brochures, and reports. Work is subject to periodic review by immediate supervisor. Some experience in the operation of bindery equipment is preferred. Performs professional budget analysis work involving examination, review, and analysis of budgets. Works under direction with considerable latitude for decision making. Should have considerable experience in the state's budget process. Performs highly responsible administrative functions relating to the timely and appropriate handling of public inquiries and requests for assistance. Works closely with local, regional, and state entities. May respond to constituent inquires. Work is performed under general supervision with latitude for exercise of initiative and independent judgment. Should have experience in Texas government and the legislative process. Must be able to use computer research and word processing functions. Performs responsible general office administrative and office management duties for a member of the Texas Senate. Assists the member in a variety of matters requiring a thorough understanding of the policies and programs unique to the legislative process. Supervises and trains secretarial and/or clerical employees. May respond to constituent inquiries. Work is performed under general direction with latitude for exercise of independent judgment. Work requires frequent contact, with people of prominence and public importance. Should have progressively responsible experience in the legislative process and administrative work. Performs moderately complex clerical work for a member of the Texas Senate. Work usually requires some familiarity with the legislative process, its functions, policies, and procedures, and the making of minor decisions. May respond to constituent inquiries. Work procedures are established by the Administrative Assistant or member, who periodically reviews completed work for conformance to procedures. Should have some experience in clerical work, including experience in computer operation and word processing. 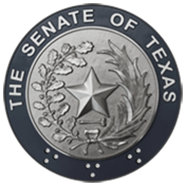 Performs routine typing and clerical tasks for a member of the Texas Senate. Work is performed under supervision of Administrative Assistant who reviews work both in progress and upon completion for conformance to procedures. Should have some experience in clerical and typing work, including some experience in computer operation and word processing. Provides responsible administrative committee work. Performs a variety of technical administrative duties; frequently assumes responsibility for the assignment, training, and supervision of one or more assistants. May respond to constituent inquiries. Work is performed under direction of committee chair with latitude for exercise of independent judgment. Should have experience in working with the Legislature, some knowledge of parliamentary procedure, and the ability to communicate effectively with the public as well as elected officials. Should have office experience or prior experience working with elected officials. Must be computer literate. Performs responsible administrative work in the Senator's district office. Supervises technical and clerical workers. Work is performed under the general supervision of the Executive Assistant and the Senator, with latitude for exercise of initiative and independent judgment subject to the limits determined by the policies and procedures established for the office. May respond to constituent inquiries. Performs editing duties for legislative documents. Work is performed under general supervision. Should have experience in editing and proofreading. Performs highly responsible administrative work as director of staff and office operations. Plans, coordinates and directs the complex operations of Senate office. Work is usually performed under the direct supervision of the Senator with wide latitude for exercise of initiative and independent judgment. May respond to constituent inquiries. Provides leadership and supervision of personnel. Performs graphic art activities including conception and design. Work is performed under general supervision. Should have considerable experience in graphic arts. Performs responsible proofreading and editing duties in a group setting by both reading orally and editing legal documents with clarity while manually verifying and correcting the documents. Work is performed under general supervision. Previous proofreading experience preferred, but not required. Performs responsible legislative support work for a member of the Texas Senate. Work involves providing advice and information, research, preparing briefing documents, drafting bills for legislative consideration, responding to constituent inquiries, and tracking legislative activities. Works under the immediate direction of the Chief of Staff or Executive Assistant with latitude for exercising initiative and independent judgment. Performs routine messenger work. Work involves running errands and performing simple clerical tasks, and may involve operating simple office machines. Work assignments are explained in detail and work is subject to frequent inspection. Part time entry level position. Performs advanced technical photographic work. Works under general supervision, in accordance with standard practice of photography and Senate procedures and policies; takes, process, prints and reproduces digital images. Should have considerable experience in professional photography. Performs mail service for Senate offices. Work is performed under general supervision. Work requires daily contact with all Senate offices. Some mail room experience is helpful but not required. Serves as primary liaison with informational media and their representatives at the national, regional, and local levels. May respond to constituent inquiries. Works under direction with latitude to use independent judgment. Should have extensive experience working with the media and public information. Performs skilled reproduction work and/or semi-complex technical camera work. Works under general supervision in performance of regular assigned duties. Should have considerable experience in the setup, operation, and repair and maintenance of offset presses, duplicators, copying cameras, and related equipment. Performs receptionist duties for Texas Senate offices. Work involves placing, answering, and transferring local and long distance calls, receiving visitors and providing general information. Assigned tasks are performed according to standard practice with periodic review by immediate supervisor. Should have at least 6 months of experience in clerical work, can substitute education for experience. Performs professional research for Senate member or Senate Research Center. Work is performed under general supervision with latitude for exercise of independent judgment. Should have experience in research methods, preparation, and analysis. Performs secretarial work for a member of the Texas Senate. Has some latitude for decision-making in carrying out routine phases of the work, such as answering correspondence, distributing mail, giving information, keeping records and files, and preparing routine reports. Works under the supervision of the Administrative Assistant or Office Manager. Subject to periodic review of work for conformance to procedures. Should have some experience in the legislative process and administrative office work. Performs responsible administrative and technical assistance work in Senate offices. Work is performed under general supervision with moderate latitude for exercise of independent judgment within limits determined by established policies and procedures. Work is subject to periodic review and approval by the supervisor. May respond to constituent inquiries. Should have some experience in the legislative process and administrative/office work. Performs routine and complex word processing and computer-related work. Transcribes legislative proceedings and other correspondence from tapes. Work is subject to frequent review by supervisor. Should have experience in clerical work, word processing and transcribing. Must have proficient knowledge of grammar, punctuation and sentence structure. Performs technical writing of legislative documents. Work is performed under general supervision. Should have experience in writing, including experience in proofreading.